In exploring the figures in Genesis chapters 12–50, this Cover-to-Cover study guide gives you a lasting way of approaching your own Bible study times. Elizabeth Rundle takes us through Genesis chapter 12–50, and uncovers what we can learn from some of the Old Testament patriarchs – the 'founding fathers' of our faith. Whether studying as an individual or as part of a group, find out how God's plans for humanity, set in motion thousands of years ago, still have momentum today. Genesis 12-50 Founding Fathers of the Faith by Elizabeth Rundle was published by CWR in November 2018 and is our 3833rd best seller. The ISBN for Genesis 12-50 Founding Fathers of the Faith is 9781782599609. 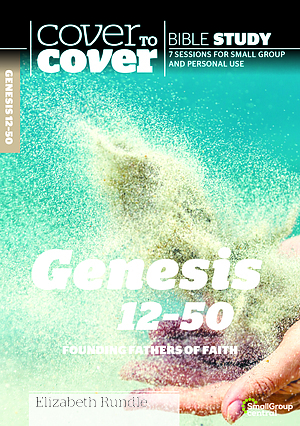 Be the first to review Genesis 12-50 Founding Fathers of the Faith! Got a question? No problem! Just click here to ask us about Genesis 12-50 Founding Fathers of the Faith.